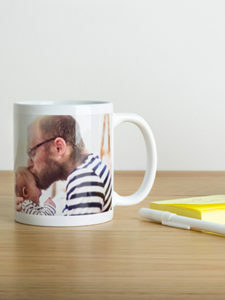 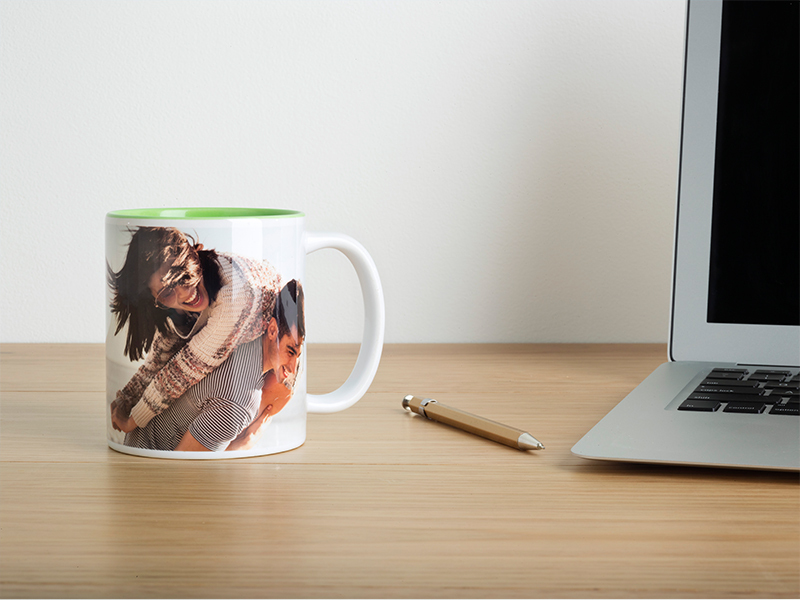 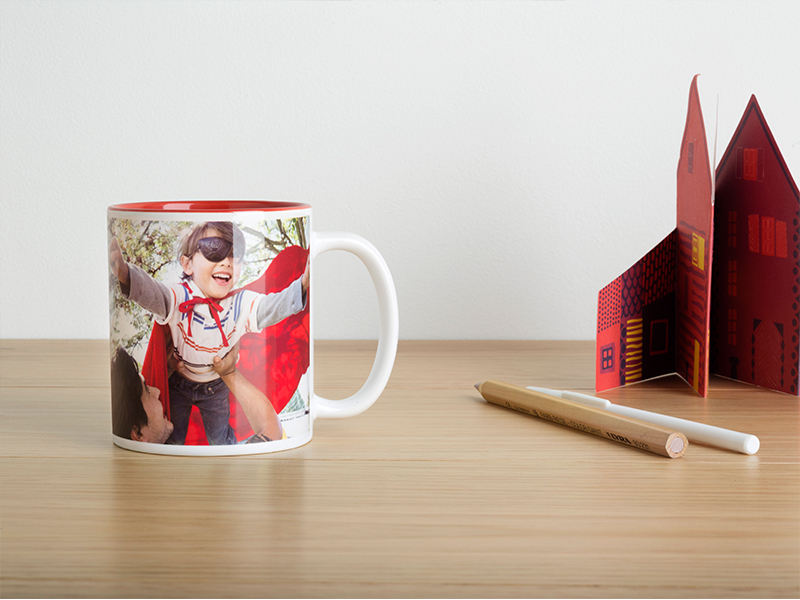 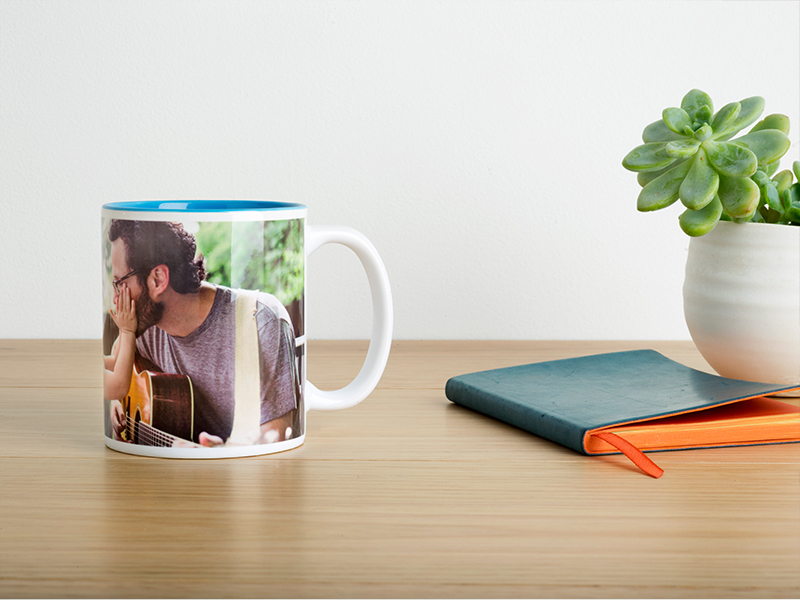 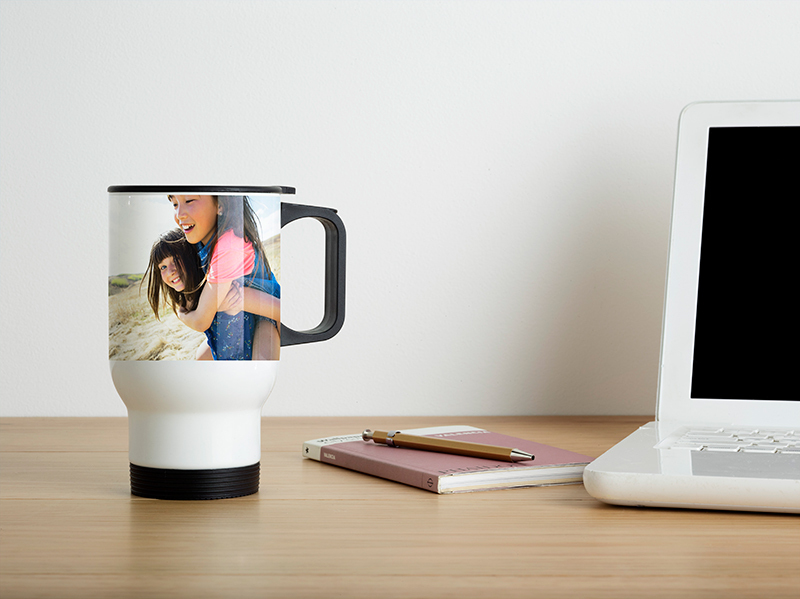 Personalise a mug or travel cup with a fully-wrapped image so you can always sip your warm drink in style. 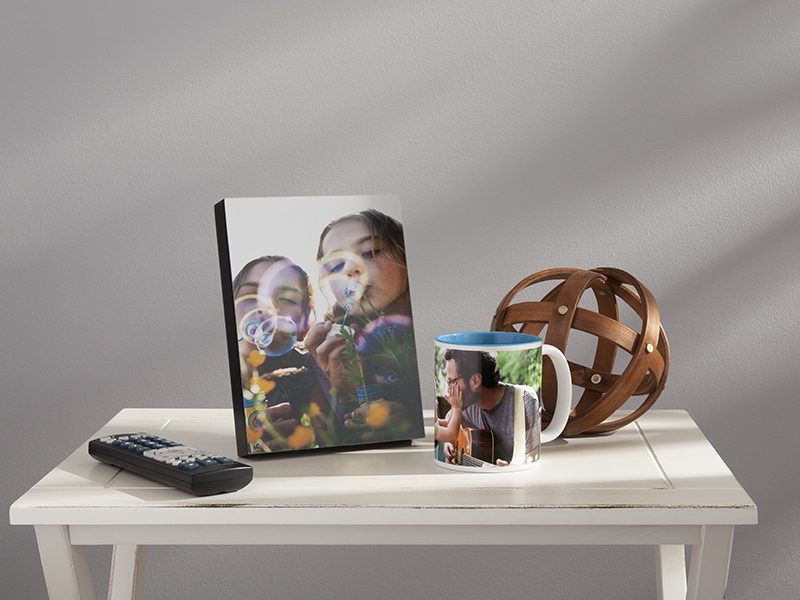 Make a collage with multiple photos. 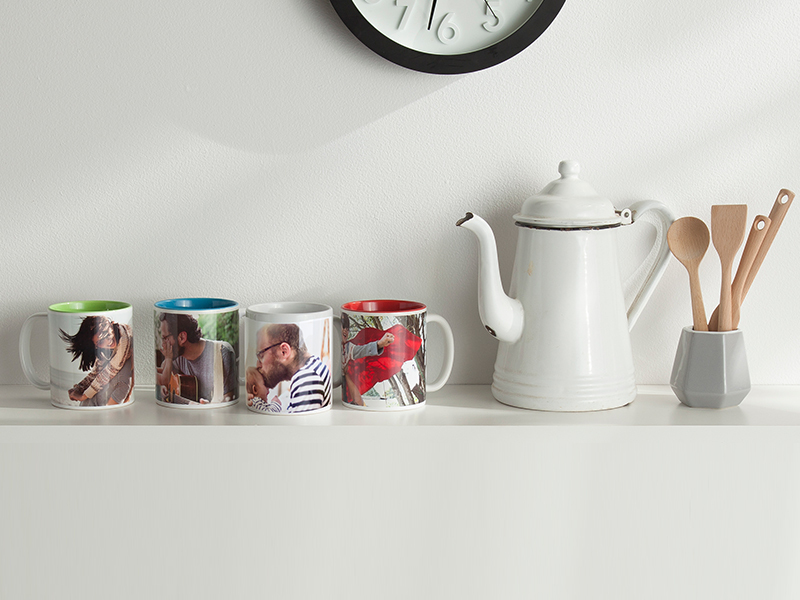 Mugs are available in white, red, green and blue.